I earned my bachelor’s degree in finance and economics, and prior to becoming an attorney, I spent five years in the corporate world. The financial industry exposed me to many deceptive practices. Today, I seek to protect consumers from the same corruption. My practice is exclusively focused on representing consumers. I view being an attorney as a way to serve the community, and I only seek to help good, honest people who deserve justice. I explain your options so you can choose the method of resolution. I have had the pleasure of learning from many great mentors throughout my career, including one of the most well-known fair debt collection attorneys in the country. Because the number of areas I practice is limited, I have had the opportunity to gain in-depth experience in consumer rights. This concentration makes me better equipped to analyze the fine details. Many of my clients have already faced financial hardship or been scammed for their hard-earned money, and I make a point to be conscious of their circumstances. "EVEN IF YOU'VE GOTTEN YOURSELF INTO A BAD SITUATION, YOU STILL HAVE RIGHTS." Many fall on hard times unexpectedly, and others are intentionally deceived by predatory mortgage lenders. Regardless of the cause of your foreclosure, proceedings cannot move forward until the lender produces the original promissory note and gives you the opportunity to defend yourself under the guidance of a reputable attorney. Similarly, even if you have gotten behind on your debt payments, creditors are not allowed to harass you. While it’s completely acceptable for lenders to notify you of past due balances, it is unethical for them to contact your employer, track down your neighbors and friends, or call you around the clock. True professionals lean on others in order to provide the best service possible. 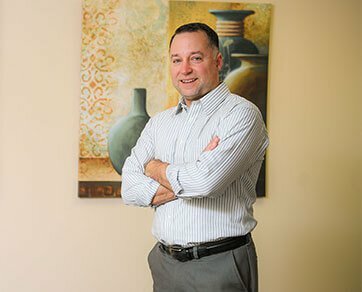 Due to my unique area of practice, I regularly recieve referrals from other firms through the state of Ohio. PUT YOUR CLIENTS IN GOOD HANDS. PARTNER WITH A LOCAL LORAIN COUNTY ATTORNEY. Let’s each focus on the areas we know best. When your clients are in need of consumer rights protection, feel free to send them my way. I’ll be sure to return the favor when the opportunity presents itself. At times, I wonder how much happier I would’ve been if I had pursued law school from the start. After all, I can’t imagine a career I’d enjoy more. Yet I believe I was led to work in financial services for a reason. Without that experience, I may never have discovered my true niche, which is, of course, consumer rights. When I resolve a case, I’m left with a sense of fulfillment and satisfaction. There’s nothing quite like the feeling of knowing you were able to help another, especially after they’ve been victimized by an unscrupulous business. Those who turn to me for legal counsel are often facing some of the most difficult situations of their lives, and they appreciate that I work hard on their behalf. Sometimes, I may even give more advice than necessary, but I simply always want to ensure my clients are aware of both their options and their full financial situation. I believe in being transparent and goal-oriented every step of the way. One of the unique aspects of consumer rights cases is that they often impact society as a whole. For example, if you were preyed upon by a dishonest mortgage lender, there are likely others who have been similarly deceived. Thus, your individual case has the potential to illuminate important information for the community at large. KNOW YOUR RIGHTS. SEIZE YOUR POWER.